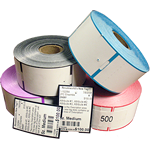 Resaleworld is proud to announce one of the newest thermal printers on the market. It's one of the fastest, most versatile, user-friendly desktop printers to ever come to the market and offers speeds up to 7" per second with a 203dpi resolution. This printer features an ethernet port for pc-less printing. Just hook up to your router and you'll be printing tags in no time. 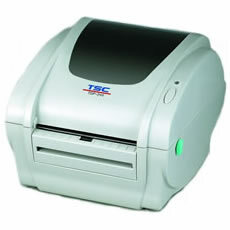 We've fully tested this printer and we are very excited about offering it to our customers. This printer supports a USB or Parallel or Ethernet connection. 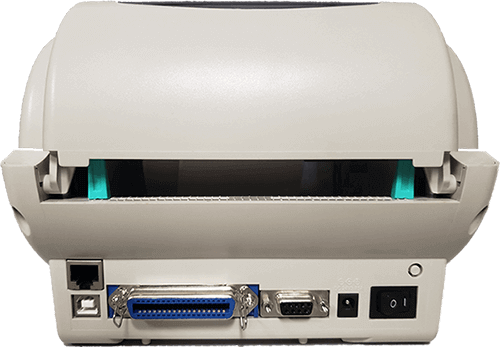 All ports are located on the back of the printer.